Move-In-Ready! Extremely nice 4BR home on beautiful culdesac lot in popular Botetourt neighborhood. Brand new carpet upstairs, garage doors & storm door to deck. 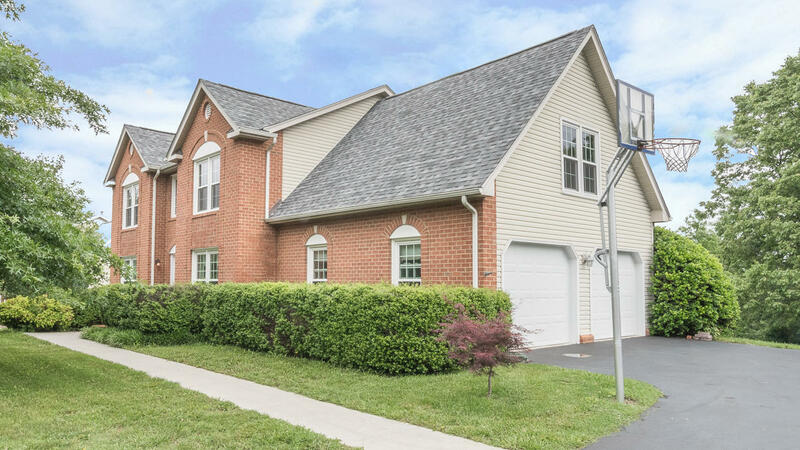 Kitchen, located beside the attached 2-car garage, overlooks the family room w/ fireplace and features a pantry, Granite Counters w/bar top, breakfast area & recent appliances. Lots of windows & natural light; deck plumbed with gas for grill has steps to fenced yard. New Roof & Windows in 2013. Water softener in 2015; Gas furnace/AC & 50gal Gas water heater in 2013, Heat pump 2010. Walkout Basement features a large Rec Room w/New Adura flooring & large workshop/storage area w/rough-in for future bath. Built-ins & Several freshly painted rooms throughout. Driveway freshly sealed. Bar stools and riding lawn mower can convey.